SAN FRANCISCO, CALIFORNIA – ForeFront Power is thrilled to announce that three additional school districts across California have selected the developer to install 3.7 megawatts (MW) of solar photovoltaic capacity across 13 locations. Stockton Unified School District, South Monterey County Joint Union High School District, and Shasta Union High School District all engaged ForeFront Power to go solar with no capital outlay. The solar parking canopy projects, which will be completed in 2019, are expected to generate over 5 million kilowatt-hours (kWh) of electricity annually, representing 4,793 tons of carbon dioxide equivalent avoided from the grid. ForeFront Power will manage all aspects of project development, including financing via a Power Purchase Agreement that requires no upfront cost or bonds on the part of the districts. Stockton USD has prior experience installing solar at several high schools and middle schools. For this second round of sites, the District chose ForeFront Power as their solar provider. ForeFront Power makes the decision to go solar easy by offering a full suite of services – on-site and off-site renewable energy solutions, battery storage, electric vehicle charging, and solar energy curricula – through a streamlined procurement process via School Project for Utility Rate Reduction (SPURR). ForeFront Power’s backing by Mitsui, the ‘A’-rated global energy investment leader, ensures expedient project development and a stable counter-party for the long-term life of the solar projects. 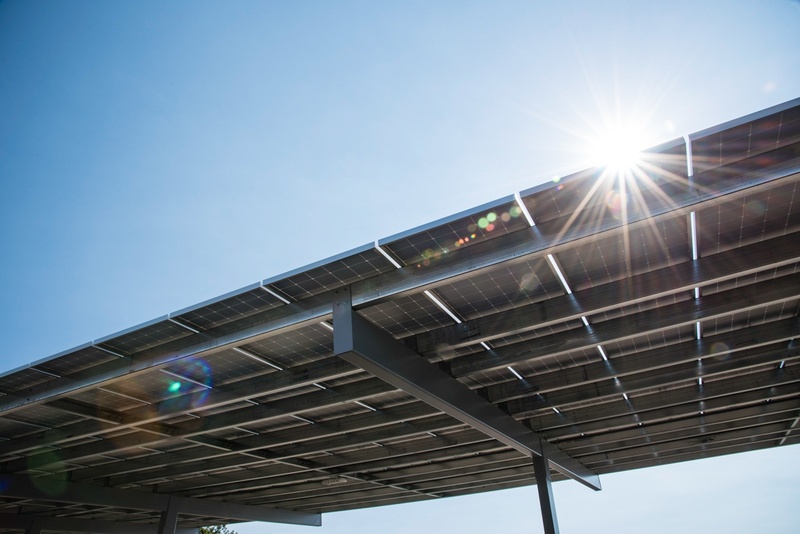 All districts utilized an innovative purchasing framework through SPURR that allows public agencies in California to “piggy-back” a competitive Request for Proposal process for solar energy. SPURR’s program mitigates many challenges of public procurement, like consultant fees and long contract negotiations. Since 2015, the SPURR Renewable Energy Aggregated Procurement (REAP) program and the ForeFront Power team have helped over 20 school districts and municipalities procure more than 50 MW of clean solar power across more than 100 sites. “We are thrilled that so many schools, municipalities, and county offices are saving time, effort, and money by using our procurement process. SPURR strives to offer clear, fair, and competitively-sourced terms and conditions that allow for easy sourcing,” said Michael Rochman, Managing Director of SPURR. The schools will also receive free energy lesson plans from Schools Power, a leading national education organization that provides school districts with standards-based renewable energy curriculum packages. ForeFront Power and Schools Power announced their partnership in July of last year. The ForeFront Power team has more than a decade of renewable industry experience, serving business, public sector, and wholesale power customers around the world. Our team has developed over 800 MW of capacity across more than 1,000 projects, targeted on assisting public sector agencies and C&I firms to deliver the most impactful behind-the-meter, community solar, and wholesale solutions. ForeFront Power is a wholly-owned subsidiary of Mitsui & Co., Ltd., a global energy infrastructure and investment leader. SPURR is a Joint-Powers Authority duly formed and existing under the California Joint Exercise of Powers Act. SPURR was formed to seek reduction and control of utility rates on behalf of its members and other program participants. SPURR membership is open to all California public K-12 school districts, county offices of education, and community college districts. SPURR is governed by a Board of Directors who are management-level employees of member organizations. SPURR, with over 240 member organizations, aggregates purchasing power and expertise for thousands of public agency facilities across the state of California. SPURR programs include procurement of solar and energy storage, natural gas, electricity, LED lights and controls, utilities data management and conservation services, electricity demand response, and telecommunications and networking goods and services.